When photographer Merel Bormans approached me to write a post for Abrazo and Coze, I said yes! For me, pretty much every picture I take of my kids (or anything) is with my phone. I know I could use some tips to photograph kids with a smartphone to up my game and get amazing pictures worth keeping. She says, “It is great to teach people about photography and see them progress with my help. 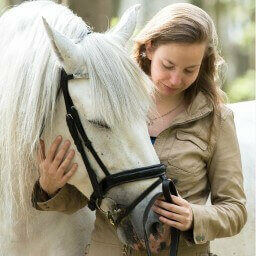 So please, share your results with me!” You can contact Merel via her website (or on social media linked from her site). 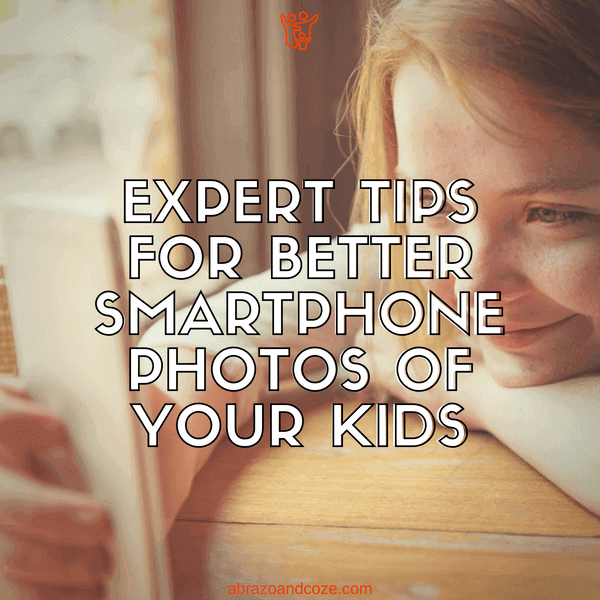 Have you ever felt frustrated about not being able to capture high quality photographs of your children? I’m a proud mother of two amazing boys myself and even though I am a photographer and have all this professional equipment, I don’t often use that to photograph them. To be honest I only photographed my oldest twice and my youngest once. I did do a professional session with my two boys and husband when my youngest was just two weeks old. 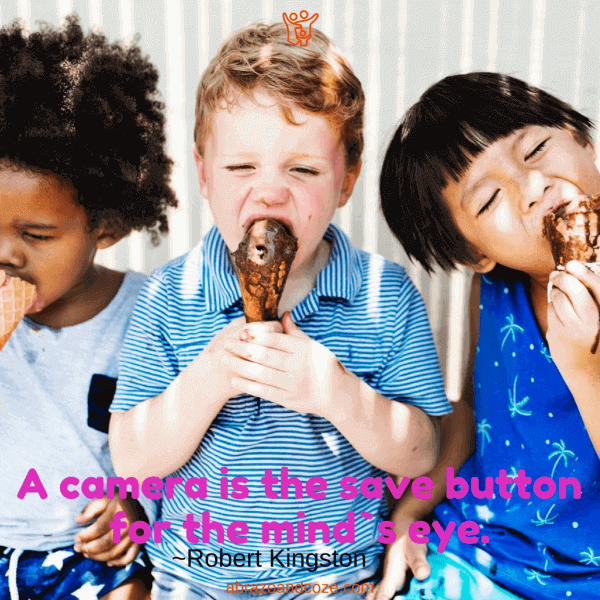 But in the end, you get a lot of precious moments and most of them are captured with the camera on hand: your smartphone! 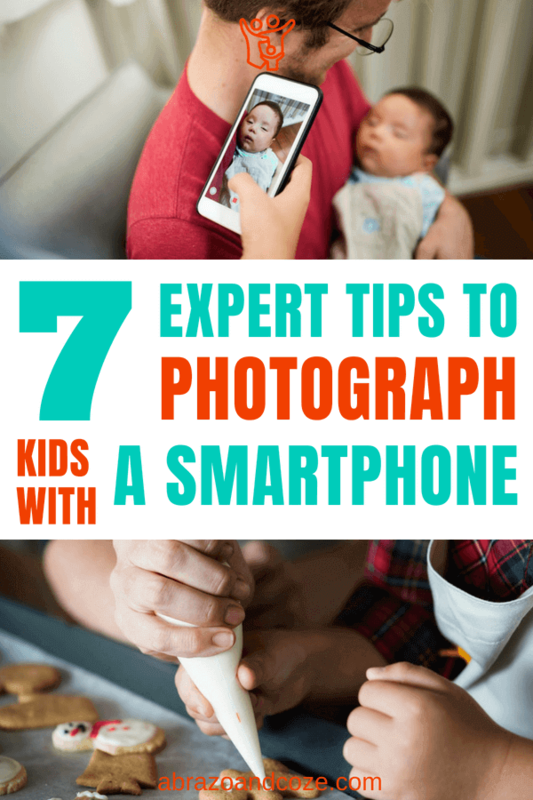 Therefore, I will give you tips to photograph kids with a smartphone! We capture because we want to remember. But what is it we want to remember? The way our kids look, what they used to do? The way they used to smile? The things they used to wear? But really, what is the worth of having thousands upon thousands of photographs on your phone if you are not ever going to look back at them? Then there really is no purpose to the act of capturing, right? Then the time and attention could have been better spent interacting with your kids, rather than stepping away and putting a device between them and you. 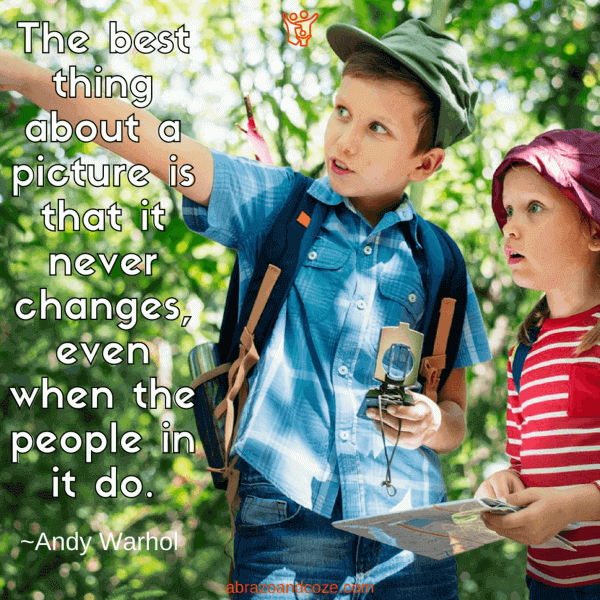 But what if there is a way to be able to document your kid’s life in a memorable way that is quick to make, takes just a little time every day and is easy to look back? When I watched this TED talk I was introduced with the idea of filming one second, yes o-n-e s-e-c-o-n-d, every day. It takes up only moments of your time and your attention before you can get back to it and live your life. Just filming and seeing one second can be enough to remember that whole day. Amazing, eh? I have been using the 1 Second Everyday app for almost a year now and I just love to occasionally render the timelines I have (one for each of my boys and one for myself too). I just love to take a look at it and see what my personal movies are looking like now. I’m very grateful for this app as it is also a nice incentive to go out and do things out of the ordinary. It makes you think of what would be something great to capture, and even though that might sound like a bad thing, it really isn’t. I mean, it does get you out and about doesn’t it? Anyhow, you may have guessed by now I’m a huge fan of this app and I would highly recommend you to try this too. In the beginning, you won’t have formed it into a habit yet, but don’t worry. You can do cheat days, too. I sometimes make two shots on one day and use that second shot on the day I forgot to take a video. And remember, it is never too late to start! Your future self will thank you for it. When I take pictures with my smartphone I try to get a background that is as “clean” as possible. And by clean I don’t mean you need to whip out the soap and cleaning clothes. I mean there shouldn’t be too much jumble in the background. If you can choose between a wall with nothing on it or the ground with toys scattered all over, the former is the better choice. Clutter can be very distracting, especially as your phone doesn’t have a shallow depth of field (the entire photo looks sharp from back to front). Try to train your eye to see the easiest and most clutter-free backgrounds. When I’m thinking of tips to photograph kids with a smartphone, I suggest trying to take pictures while your kids are doing something. You get the most interesting photographs when they are all in their game – they may not even notice you scootching in to take that picture. If there is something happening in the picture, it automatically becomes more interesting to look at. Your children will appear more natural as they are focussing on their activity rather than the phone/camera. Also, don’t forget to photograph everyday activities. Maybe they are looking so adorable as they sleep… capture it. In just a few months time they might not sleep like that anymore. Do they smile in a certain way? Also worth a capture! These are the moments people tend to forget to capture. But it is so good to look back at those moments later on when your kid has changed so much. Time already goes fast enough as is. When you look back at photographs a year later you’ll realize how much has changed (and yes, change can be good. But really it is so nice to be able to look back at those past times just to remember it). The light is better when you are out and about! Indoor areas can be quite dark and for your photographs, it’s better to have plenty of light. Your photographs will look much better! Phone cameras generally can’t handle lowlight situations as well as professional cameras (although they are getting better at it). Still photographs taken in light conditions will always look better, no matter what camera you use. Besides, isn’t it good to be outside with your kids? I love being outside with mine! One of the most important tips to photograph kids with a smartphone is that the quality very quickly diminishes when you take pictures using the digital zoom. You accomplish the same effect by cropping the photograph after you’ve taken the shot, but you have much more control over the end result. It is always better to crop afterwards than it is to digitally zoom when taking the photograph. There are several ways to get a bit more creative. A list of tips to photograph kids with a smartphone would be incomplete without some creative suggestions! Have you ever tried to take a silhouette photo of your child? Wait until the sun is setting and the beautiful golden light hits the earth, the sky lights up yellow and orange. This is the perfect time to snag one of these photos. Just tap the sky so the light meter will use that as a reference and voila, your kid now turns into a silhouette on screen. I recently wrote a blog post about creating silhouette photos. Most of the tips also apply to smartphone photography, so be sure to check out these 7 essential tips! You should try to get a bit more close than you would normally do. Try capturing those details too. I made a video of my youngest unwrapping a present. I filmed only his hands and this little clip is very dear to me. 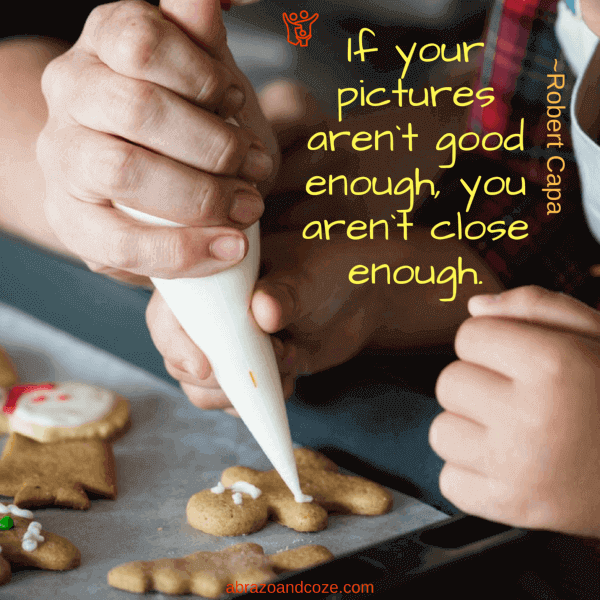 If you go close your child will fill the frame and the photo will have significantly more impact. Most smartphone photos are made on our own eye level. Things get more interesting if you get lower, and take the photo looking upward at the subject, or even at their eye level rather than yours. Or, if you get higher and take the shot from above you’ll get equally as interesting pictures to admire. Since you’ve read this post you might be interested in a free basic photography course I created. My blog, where you can learn more about photography, can be found on www.merelbormans.com. You can learn more about what you need to be a great photographer in this post from Preserving Your Journey. This author would love for you to check out the links shared in the article above. Have a lovely day! Excellent article! It’s packed full of great tips and ideas! I use many of these, but have not really tried to apply them to my cell phone. I’m in total agreement, though… the best camera is the one you have with you. The cell phone definitely fills the bill. I’ll be following your other posts. These are wonderful tips, our cell phones have such powerful cameras on them these day & full capability of getting wonderful photos! Yes, phone camera’s are getting better and better! There are still things phone camera’s can’t do (yet) compared to regular camera’s but for ok-quality snapshots they are already so good! What you can’t get on your camera’s phone is a shallow depth of field (some phones do this in software, but the result is not yet the same as truly using a big aperture). But still, the best camera is the one you have with you! My eldest loved to take pictures… there were plenty of photos of people’s feet. Definitely a kid’s perspective! These are great tips! I’ve never heard of 1 second every day and will most definitely be trying it out! As frustrating as “tech” might be, there are some really great technologies out there. I hadn’t heard of it before, either… another reason I’m glad for this guest post! I do freelance photography, and I am also a mother, so I know the passion that comes with photographing our greatest pride and joy, our children. The most important thing I can do is make sure I have good lighting. I love working with natural light and watching how it bounces between buildings and trees. Also, it’s important actually to print our photos. We live in a digital age, but nothing beats holding a real photograph that you are proud of you took. Our kids are such a source of inspiration, so it’s no wonder we wish the capture them all the time and document them on the journeys and as they grow. Yes! Printing photos is something I think people don’t do so much these days, myself included. I’ve been making a point of actually framing pictures and hanging them, because it’s nice to see on a regular basis, rather than just when I happen to look at the folders on the computer. You are absolutely right. Actually printing an image changes it. It is not just the image on your camera, computer or phone anymore. Already the fact you went through the trouble of printing it changes it already. I still am amazed how different my photographs feel/look when I print them :). It is always great to see them printed (especially the bigger prints!). Thank you Anna, for having me as a guestblogger. I very much enjoyed writing this article for your website. I’m so glad you were willing to share your tips with my readers!